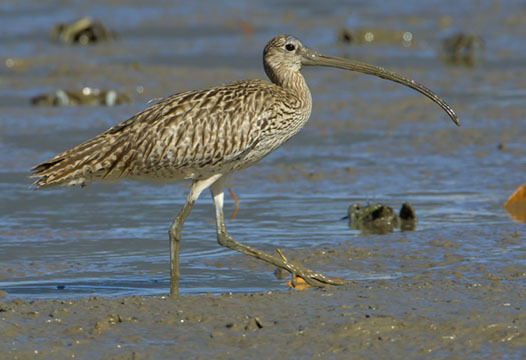 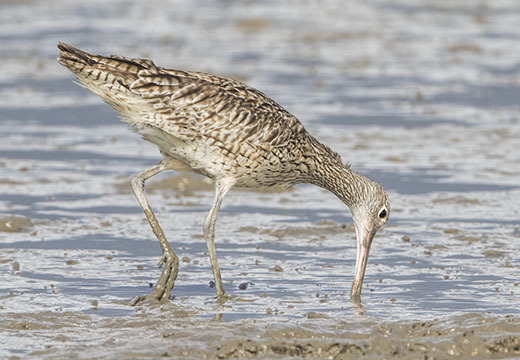 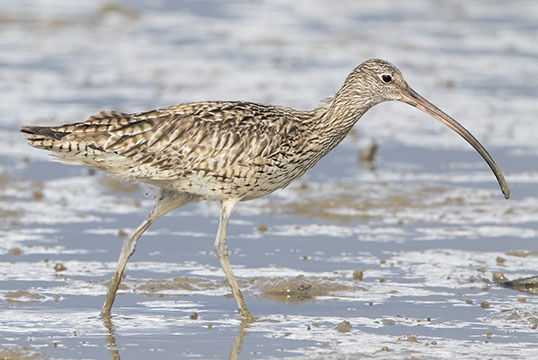 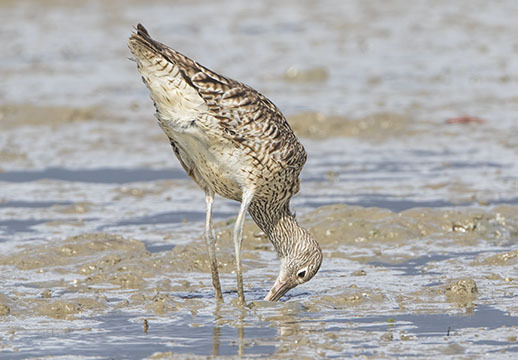 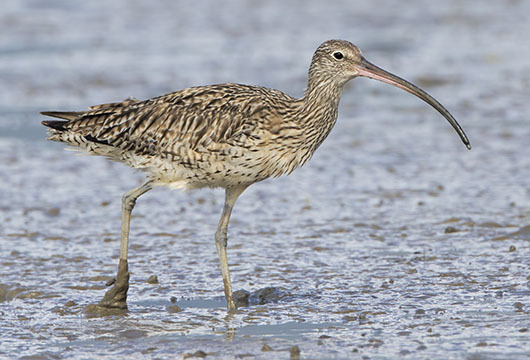 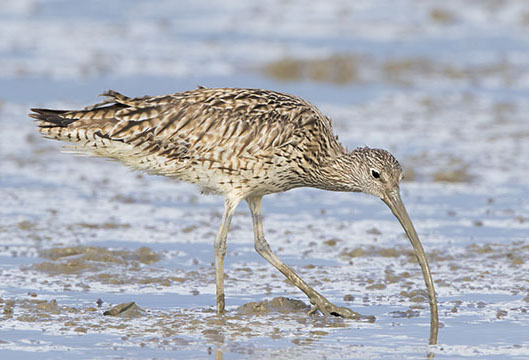 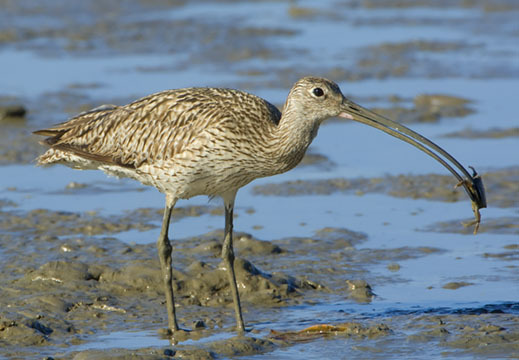 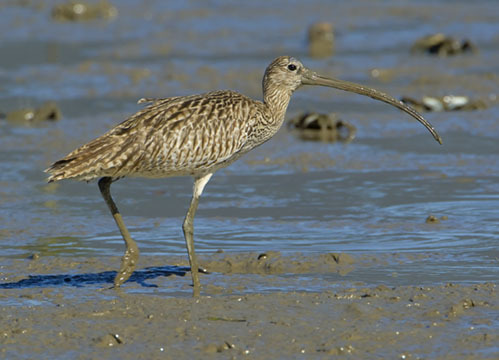 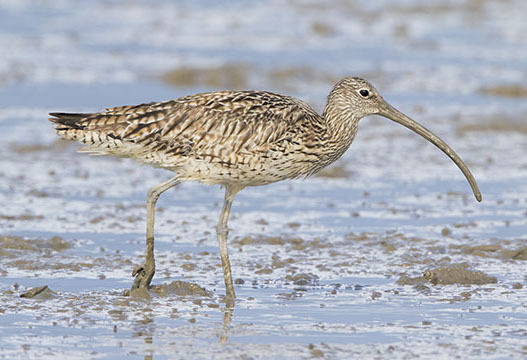 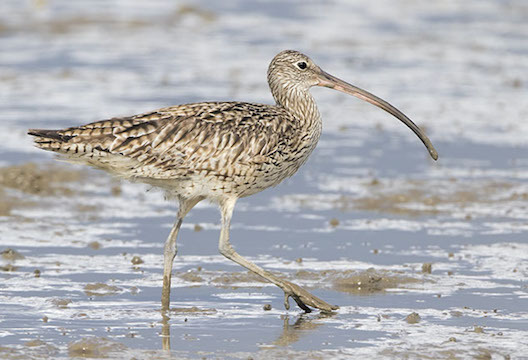 Like their North American relative the long-billed curlew, the eastern curlew has a dramatically large, curved bill for probing deeply into mudflats. 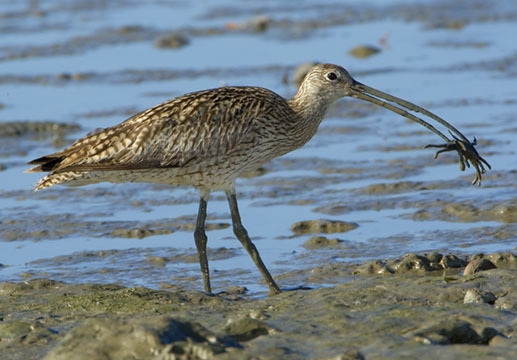 One bird in the photos below has captured a small crab and is preparing to eat it (not easy with a bill that big). 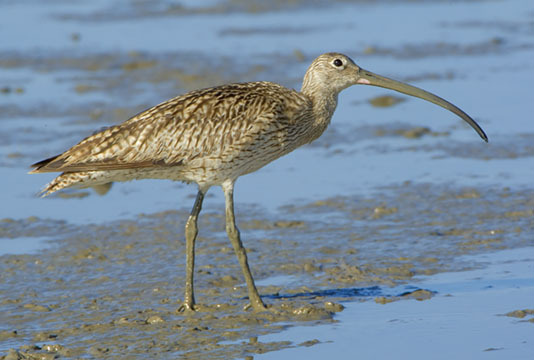 These were all photographed on the mudflats at the Esplanade in Cairns, north Queensland, Australia.